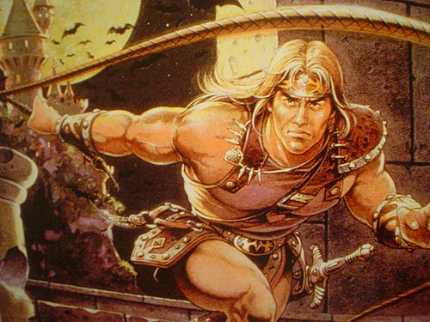 Castlevania gets a new director… Sylvain White! Big changes for the upcoming CASTLEVANIA movie, as previous director PAUL W.S. Anderson exits, and SYLVAIN WHITE takes over. However, they’re sticking with Anderson’s script, and he’ll remain on as a producer. White’s been hot since scoring a hit with STOMP THE YARD, and he’s previously gotten coverage here for his plans to adapt RONIN for the big screen. Castlevania, however, will be his next turn at director, bumping all other projects back. Can the big screen do the Belmont Family justice? God knows VAN HELSING tried to do this kind of movie right, but didn’t quite get there. Needs a tough mix of Sword and Sorceror epic with Vampire stuff. Hard to get it right… but the game series has always been brilliant, so the potential’s definitely there. Paul W.S. Anderson will direct the adaptation of SPY HUNTER, replacing John Woo and continuing his move towards car chase films– before this starts, he’s filming Jason Statham in DEATH RACE 3000. No word yet on whether DWAYNE “THE ROCK” JOHNSON is sticking around– he was attached to the project before the directorial change. Check out the full plot synopsis for CHRONICLES OF NARNIA: PRINCE CASPIAN. Scott Porter, of FRIDAY NIGHT LIGHTS, has been cast as a younger version of RACER X (to be played by Matthew Fox) in SPEED RACER. We love FNL, so we love this news. Porter’s also a big comic buff– check out this Newsarama interview. Here’s an interview with Tim Story, re: FF2. Biggest news: Puppet Master will likely be featured in FF3. That could be cool, but we’re keeping our fingers crossed for Namor or Mole Man. Oh, and two new FF web sites: one for the video game, one for the animated series. Danny Goldring has been cast in THE DARK KNIGHT, no word on the role yet. And, you’re going to get to see Transformers even earlier… special early showings have been added nationwide on Monday, June 2nd. You are currently browsing the archives for the Paul W.S. Anderson category.